photo-eye Gallery Zoë Zimmerman on Her Dream In an interview, represented artist Zoë Zimmerman speaks about collaborating with her daughter on the seies Her Dream. 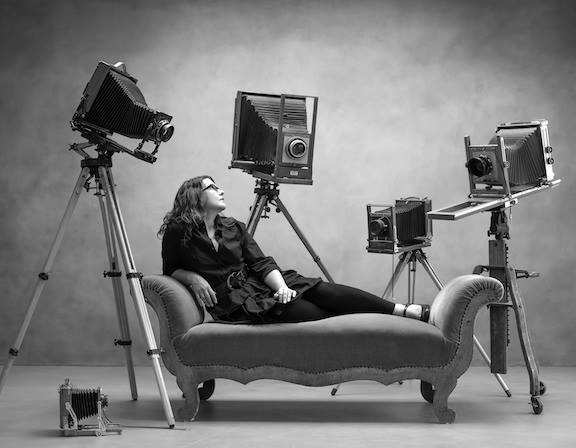 Anne Kelly: After the birth of your first child you moved your photographic practice into the studio; what was that transition like? 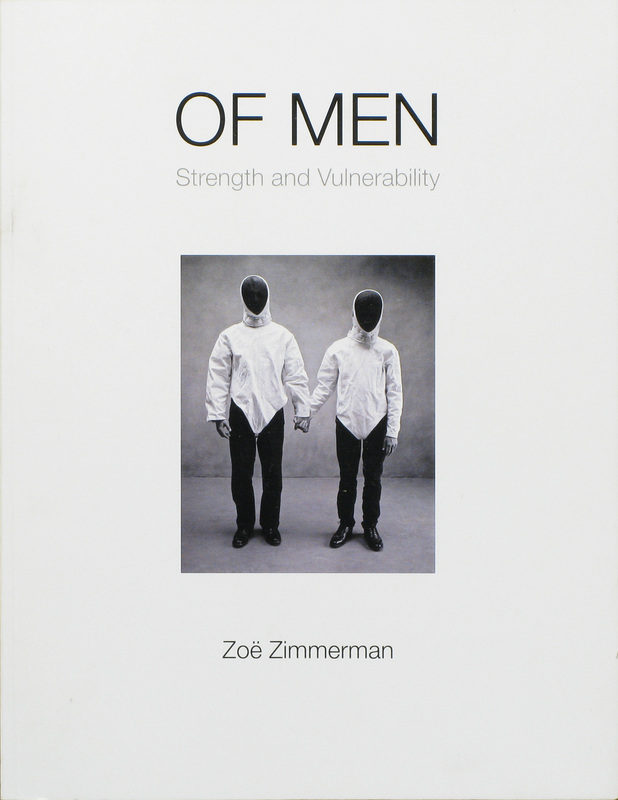 Zoë Zimmerman: Before having children, my work took place out in the world, away from home. My time was my own. I was accountable to no one and that fact afforded me the freedom to roam until an image sparked me. I could wait for inspiration, wait for the light to be right, the wind to die down. I could wait for another season. After my first child was born my work moved inside so as to be available to my little one. I could no longer afford to wait for inspiration. I worked when he slept. The light was controlled. The space was controlled. The outcome was a deeper looking in. My universe was reduced but my heart expanded. 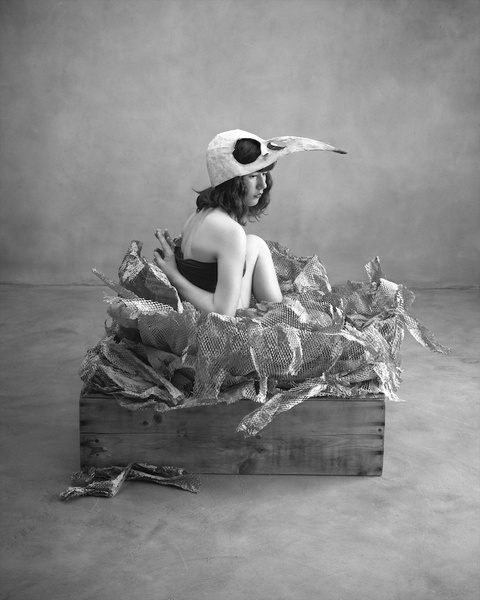 AK: Your ongoing series Her Dream began as a collaboration with your daughter – when was the first image made? ZZ: Her Dream began when my daughter was three and very much underfoot in the studio. Previous to that she was too wiggly for large format cameras with long exposures. AK: How did the first image come to be – was it planned, improvised, or somewhere in-between? ZZ: The first picture in the series was planned. It involved a flying pirate ship that had to be rigged to the ceiling. The only spontaneous moment involved a temporary tattoo which my daughter had adhered to her belly. It just didn’t work with my aesthetic. “ Here Mama,” she said, drawing her knees up to cover it. “Now you can’t see it.” That pose has become a recurring theme in the series. AK: Tell us a little more about the collaborative process with your daughter; what is it like? ZZ: The collaborative aspect was a natural progression of working together and also an apt reflection of the nature of our relationship. I am her parent but sometimes she is my guide. The fact that I am older and more experienced than she is, does not mean my ideas are better than hers. I learn as much from her as she does from me. AK: What is your image-making process like when working in the studio? ZZ: As for the technical aspects, well, I am a fan of magical realism in real time in the studio. So, yes, I do light things on fire and fly ships across the room and invite large animals into my space. I know that theses things can be done with photoshop but I came late to the digital party and am still not savvy enough with the computer to ”clone” the magic in. I am more excited by the strange tension of what is simultaneously real and fantastical. AK: Do you have a good story to share about the making of one of your new images in LOCAL EIGHT? ZZ: A Horse in the Studio: When I built my shooting space, I installed a garage door at one end and when asked why I always said so I could photograph big things like horses in my studio. When I finally had a horse in the studio, I realized how potentially dangerous and truly crazy that idea was. I had a young intern assisting that day and her sole job was to stand by with a snow shovel to clean up after my very large model. Needless to say, she did not ask to work with me again. No one ever expects that being a photo assistant is such a horseshit job. Zoë Zimmerman will be participating in a Gallery Talk for LOCAL EIGHT Saturday, Apr. 15th at 2:00pm at photo-eye Gallery. Archival Pigment Prints of Zimmerman's work in LOCAL EIGHT are available at 24 x 20 inches in limited editions of 24. For more information, and to purchase prints, please contact Gallery Staff at 505.988.5152 x 202 or gallery@photoeye.com.